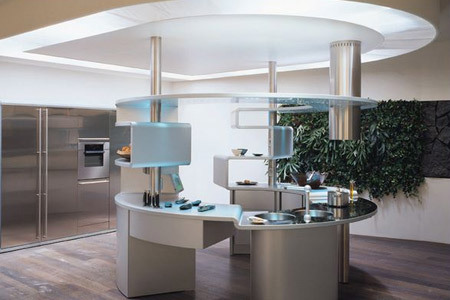 Snaidero Acropolis Italian designed circular kitchen. Warranty: 10 years on kitchen furniture. This kitchen has been sold now. Offer: Not in the collection anymore! The kitchen can also be extended or adjusted with other integrated Neff appliances. You can obtain more information about the designer (Paolo Pininfarina) on this page.